Greece’s second city, tucked away in the north-western corner of the Aegean, is a popular tourist destination in its own right, winning a number of accolades, including a recent recommendation by National Geographic magazine as one of its top destinations worldwide. 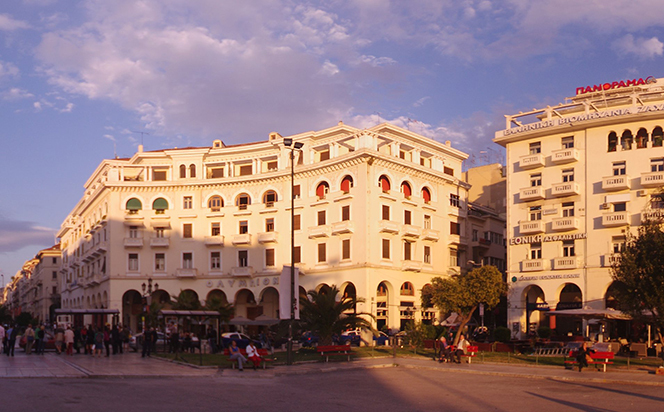 It is also a former European Capital of Culture. Surprisingly, this waterfront city isn’t on the radar of many cruising yachts, but it is well worth a detour to visit. It’s also a great place in which to base a boat, with excellent facilities, a busy international airport and the stunning islands of the Aegean only a day’s sail away. Even closer to the city, the three fingers of the Halkidiki peninsular make an outstanding cruising ground in their own right. The city’s main marina is to the east of the centre, in pleasant wooded surroundings at Aretsou. Berths are available for yachts of up to 30 metres length, with maximum depths ranging from 3-5 metres. Mechanical and electrical repairs can be carried out here and there are chandleries both in the marina and nearby. Yachts can also be craned ashore into the boatyard here. There’s a small sandy beach next to the marina, plus plenty of local restaurants, cafes and bars. The city centre, with its renowned shopping facilities, is only three miles away. 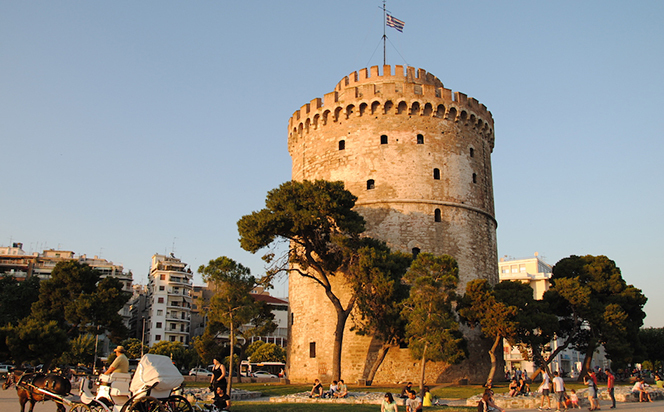 By arrangement it may also be possible to moor at one of the city’s other marinas, including the Mikro Emvolon Yacht Harbour and the Nautical Club of Thessaloniki, both of which are to the north of Aretsou. 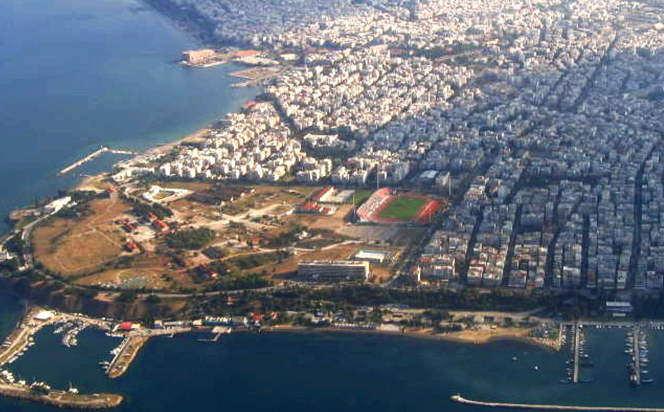 Aerial view of the city, showing Thessaloniki marina on the bottom right hand side. The city’s mostly modern architecture belies its rich history and vibrant cultural life. It was founded by in 315BC and was an important centre in the Roman Empire, subsequently becoming the second largest and wealthiest Byzantine city, before passing into the Ottoman Empire in 1430. It became part of the modern Greek nation in 1912. There are numerous notable monuments and remains, including the Paleochristian and Byzantine monuments, a UNESCO World Heritage site. With Turkey having become less popular as a destination in recent years, this is a viable option that still gives access to the myriad of picturesque Aegean islands, while avoiding the strongest of the summer Meltemi winds.